QwertyTown is a web-based keyboarding app that teaches typing and online communication skills. 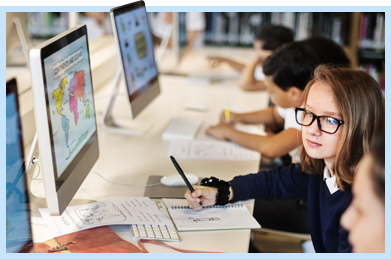 Students are driven to succeed by QwertyTown's games, rewards, social motivation, powerful teacher reports, and a deep understanding of how keyboarding skills improve their lives in and out of school. QwertyTown was created by Second Nature Learning. Founded by award-winning educators, Second Nature Learning’s mission is simple: to help students achieve literacy in the modern, digital world. Keyboarding is an essential component of literacy for today’s students. It provides a safe, teacher-controlled environment where students can communicate with their classmates, teachers, and friends. While becoming fluent with a keyboard, students are learning how to interact in a digital environment. This environment prepares them with a fundamental skill set essential for academic and professional success in the 21st century. Why should you use QwertyTown? Building an Avatar is fun! Students that regularly use QwertyTown are more proficient and successful in the digital learning environment. 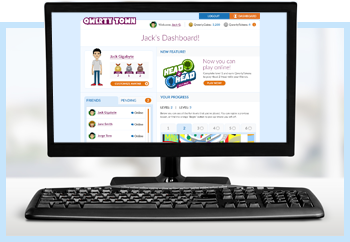 Whether they are winning a Head 2 Head typing match against classmates or earning medals completing lessons, QwertyTown students earn QwertyCoins as they learn. Those QwertyCoins can be spent in our Avatar Store. Students can even unlock communication tools so they can share their successes with their friends. QwertyTown equips teachers, administrators, and parents with tools that make it easy to monitor and manage each student’s overall experience. 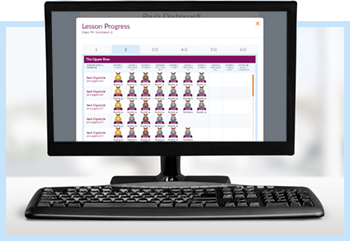 Parents and teachers can customize performance benchmarks in lessons and level challenges. 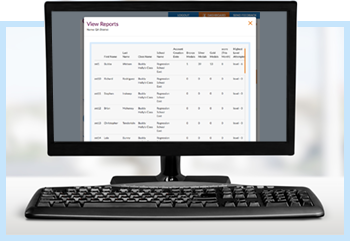 QwertyTown delivers detailed data about users’ performance in a fast and easy format. Peruse class progress from your dashboard or download a spreadsheet to collect data. QwertyTown offers a simple way to manage student logins that securely syncs student rosters from school districts’ student information systems (SIS) to QwertyTown. School districts rest easy knowing that their student rosters are updated automatically in a secure environment. Imagine never worrying about adding new students or shuffling transferred students mid-year! Not only that, but Clever is completely FERPA-compliant. It works with every major SIS. See what Clever has to offer! 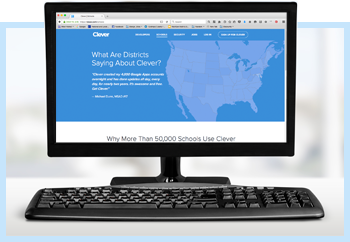 QwertyTown uses Clever to auto-integrate with most student information systems, so setup is a breeze. Clever also offers Google SSO, Chromebook auto login, badges, and more. 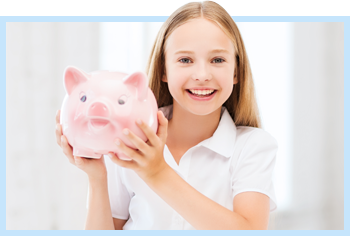 QwertyTown is priced on a sliding scale to offer optimum savings for all of our school districts. Contact Second Nature Learning and speak with a Salesperson about finding the best price for your students and/or home user. Check out what’s going on with QwertyTown! 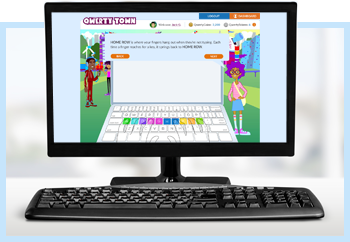 From Tech & Learning to Common Sense Media, QwertyTown is the talk of the web. See what everyone is saying. "QwertyTown is a delightful land that students will love exploring. The design is outstanding, games are reasonably fun, and even the kid actors who voice QwertyTown characters are excellent." Tech & Learning also reviewed QwertyTown here. The highlights of their review include recognition for effectively incorporating motivational gaming elements, the program’s ease of use, the diversity of avatars, and customizable options for teachers to increase and decrease standards for lessons and levels. Also noted are the detailed reports teachers receive concerning student progress. 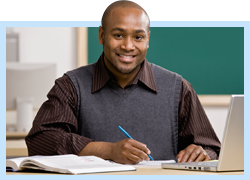 Teaches keyboarding and essential digital communication and writing skills. Allows for differentiation through customizable performance benchmarks. Encourages students to retry short lessons to increase speed and accuracy. We are elated to share that Tech & Learning just came out with their review. The highlights of their review include recognition for effectively incorporating motivational gaming elements, the program’s ease of use, the diversity of avatars, and customizable options for teachers to increase and decrease standards for lessons and levels. Also noted are the detailed reports teachers receive concerning student progress. “Fabulous keyboarding lessons entice kids with social rewards,” were the introductory words in our recent review by Common Sense Media. Read the whole review yourself and please feel free to leave a field note about your experiences with QwertyTown. 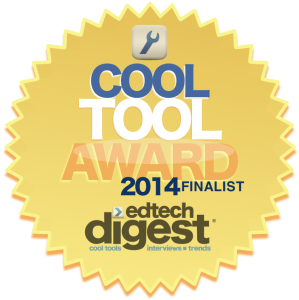 All of us at QwertyTown are proud to announce that we are among the illustrious finalists for EdTech Digest’s 2014 Cool Tool Award. All of us at QwertyTown are proud to announce that we are among the illustrious finalists for EdTech Digest’s 2014 Cool Tool Award. EdTech Digest recognizes the leaders and trendsetters in educational that strive to create change in education, and we are humbled to be included in their list of finalists for the second year in a row! Back in 2012, EdTech Digest’s Victor Rivero interviewed Paul and Dave for a featured article and you can check it out on the website. At QwertyTown we strive to provide a modern keyboarding app that fosters not only keyboarding skills, but the literacy skills required in the 21st century. Students also benefit from being immersed in a completely safe online environment that fosters digital citizenship. It is wonderful to be included in the list of other “Cool Tools” created by the leading innovators of educational technology.